This December I've rediscovered a few things already including sun holidays and midnight mass. The latest is classical music. 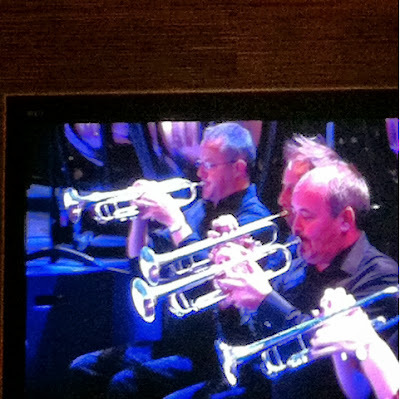 This evening it was good to have BBC4 on for a short wail as they played the Proms on Four: Film Music Prom - it was a good reminder of how much classical music each of us know, without really knowing what it is. We have films, and adverts to thank for that. So today's night time photo is from the TV but it's also a nod to our night flight home where I listened to much more classical music, as somehow it just seemed right. I think I shall make a New Year's resolution to include more classical music in my life.